With Coop are Prof. Brand’s daughter (Anne Hathaway), Doyle (Wes Bentley) and Romilly (David Gyasi). Also on hand is a robot, TARS (voiced by Bill Irwin), who can be about as human as he is programmed to be. 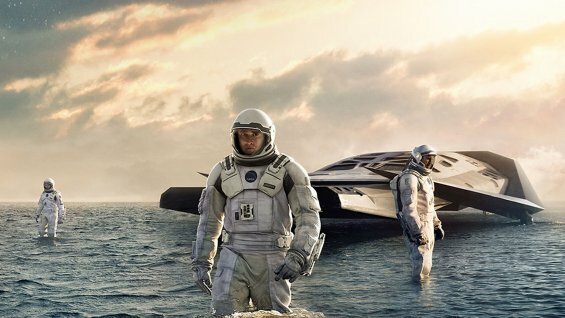 They explore an ocean planet ravaged by 50-story tsunamis. They visit a frigid snow planet, and discover one of the earlier astronauts, whom they awaken from cryogenic sleep. But there are fatalities along the way. Not to mention the dangers of a human mind pushed too far. And finally there’s a trip into a black hole, where time and space twist in upon themselves and Coop discovers the truth — insofar as it is comprehendible to puny human minds — about those ghostly happenings back in Murph’s bedroom. It’s a huge, complicated saga peppered with intriguing ideas. For instance, the theory of relativity comes into play when Cooper and Brand set down on one planet for just an hour and return to the mothership to find that 23 years have passed for the crew member left on board. Similarly, when Coop at long last receives a transmission from his estranged daughter, Murph is now a grown woman (and played by Jessica Chastain). But her resentment over being abandoned is as fierce as ever — providing the film’s devastating emotional high point. 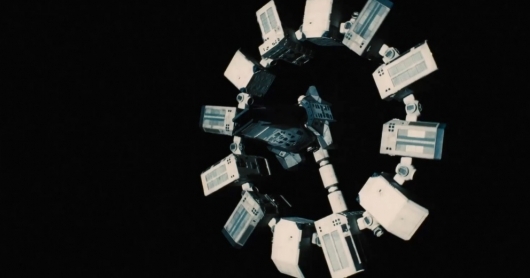 “Interstellar” suffers from a fuzzy narrative. The film’s final 20 minutes strikes me as borderline preposterous — what is intended as a forehead-smacking revelation comes off more as a desperate attempt to make sense of everything and provide a happy ending — and the situation isn’t improved by the film’s spine-numbing running time. Longer does not necessarily translate as more important. Nolan’s opus inevitably will be compared to Stanley Kubrick’s 1968 classic “2001: A Space Odyssey.” Both films balance science with metaphysical speculation; both are about a space mission that could unlock mysteries about the nature of the universe. Nolan (who wrote the screenplay with his usual collaborator, brother Jonathan Nolan) even courts comparison with the Kubrick film. In “2001” it was the mental breakdown of HAL the computer that jeopardized the mission. Here it’s a human who goes haywire. TARS, the onboard robot, is a large metallic slab that bears no small resemblance to the mysterious black monolith that kicks Kubrick’s film into motion. And like the earlier film, “Interstellar” is the sort of experience that splits viewers between rabid supporters and naysayers. It took years for the deliberately obfuscatory “2001” to be declared a masterpiece. Will the same be true of Nolan’s movie? The reason “2001” works and “Interstellar” doesn’t, I believe, is that Kubrick never overplayed his hand. He suggested much but explained little, leaving a film that was as much visual poetry as speculative science fiction. Nolan, on the other hand, is always explaining things. The dialogue practically collapses under the weight of all that scientific jargon. When it comes to intergalactic woo-woo, less is more. Why? Because you’re cynical? Or fearful standing alone by risking going on record liking something “popular” and “mainstream”? A common affliction striking movie and music reviewers alike. I mean, what would happen if your idol Dave Grohl discovered your affinity for the manufactured, saccharine sounds of boy bands?! The horror! “Kubrick never overplayed his hand”? Since when does Kubrick NOT overplay his hand? His artistry is practically the definition of bombastic. Look, I love 2001. Love it. But that doesn’t not make it pretentious tripe. I don’t think it is, but I’m willing to acknowledge the likelihood that there is a measure of my appreciation directly motivated by the fact the film flies right over the head of people I expect to be serving me food wrapped it paper. I left the IMAX auditorium on 4 November 2014 with the distinct feeling of not wanting to watch another film for some time because I was so emotionally fulfilled (or drained–I am, as yet, unsure which). That doesn’t mean McConaughey’s performance did not push towards soliloquacious, it just means the work either justified or balanced it on the whole. And besides/despite any of that, I liked it. A lot. A whole lot. Only film deserving of being called “a film” in a long time. And to hell with what anyone may think of me for it. I see your point of view but I think the point of the movie was explaining 2001. A robot that could be the first monolith. My childhood space toys get in a fight. The arm rockets from the Lost in Space TV show get an upgrade. Two dream like worlds and a lone Eve on a desert world. 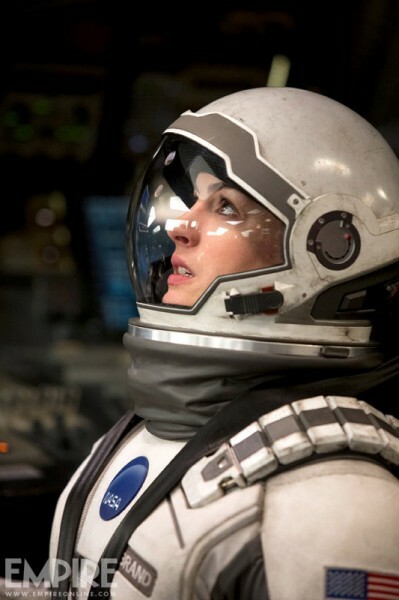 Did the lone astronaut die in that black hole living out a fantasy that he saved the world with his daughter? Mr. Butler: I miss your reviews so, so much, and this one is a perfect example of your articulating my thoughts in two sentences that in our drive home tonight from Town Center to Waldo I could not. For the betterment of Kansas City, I think you should start back writing our movie reviews for The Star. I saw you did one last week or so and hope you will start to do most of them. Thanks again; I’ll finish your review now.